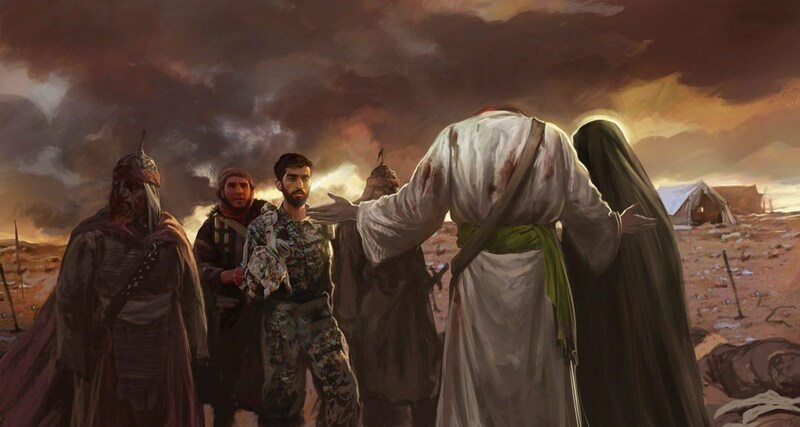 BEIRUT, LEBANON (3:20 A.M.) – An Iranian soldier from the Islamic Revolutionary Guard Corps (IRGC) was captured and executed by the Islamic State (ISIL) this week near the Iraqi-Syrian border. Mohsen Hojaji from the Isfahan Province in Iran was advising Syrian military troops near the Iraqi border this week when his unit was struck by heavy artillery, resulting in his capture and the death of his comrades. Hojaji was then paraded around the Islamic State’s territory before being summarily beheaded by the terrorist group. The Iranian soldier’s last moments were captured by the Islamic State’s propaganda wing before he was murdered by their terrorists. Look at the eyes of this Iranian soldier, so that terrorists will not be happy, a soldier who is miles away from his homeland … As well as his killer, see how fear in his eyes waveth.